Leonardo Da Vinci (1452-1519), created the idea of the chain. 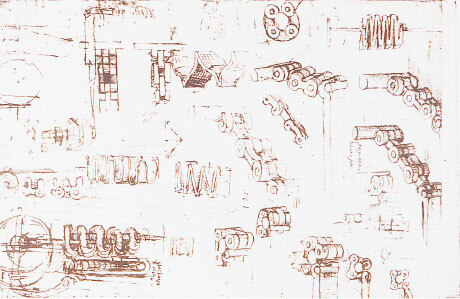 Sketches in his notes are said to be the first place in historical records where chains appear. However, this idea couldn't be realized until the development of industrial steel technologies and machining technologies. The first person to make practical chains for power transmission was the Frenchman Meduel Gall in 1832, who he obtained a patent on the bicycle chain.